” At only 1.5 metres above sea level at their highest point, the Carteret Islands are some of the first to succumb to the rising ocean tides. 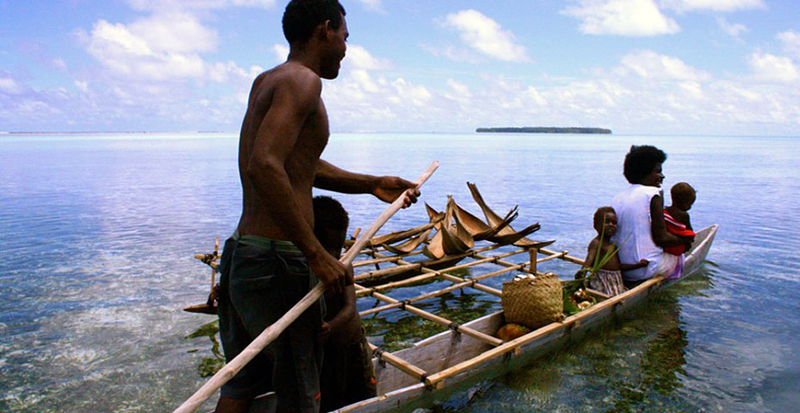 The grassroots Tulele Peisa group, which means “sailing the waves on our own” in the local Halia language, is hoping to relocate more than half of the population by 2020. 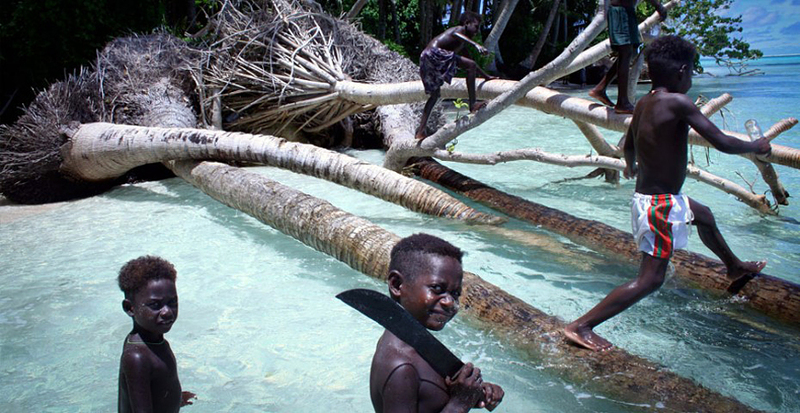 A grassroots group in Bougainville is scrambling to relocate the Carteret Islanders before rising sea levels swallow their land forever. 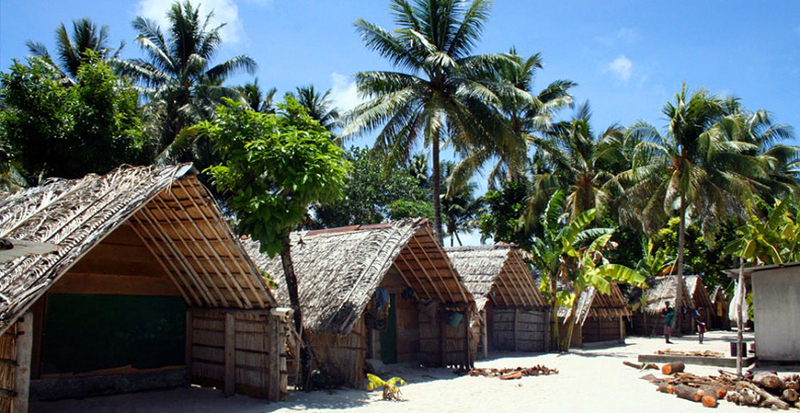 Tulele Peisa formed in late 2006 after the Council of Elders on the islands decided to establish their own relocation program. The group’s chief executive, Ursula Rakova, says the encroaching tides on the islands have a major impact on people’s health. “We’re beginning to get more requests for people wanting to move because of the situation and the dire need for food,” she says. The storm surges not only wash away houses, but also vegetable gardens, which are critical for the islanders’ survival. With no cash economy on the Carterets, the only source of food is what people are able to grow for themselves. Ms Rakova says the relocations are also vital to give more space to those who want to stay on the islands. “Giving justice to the elderly is the most important thing that Tulele Peisa can do. The elderly people do not want to move,” she says. The group initially secured 25 hectares of land from the Catholic Church — enough to resettle about 100 people from 10 families. The church has just made another 60 hectares of land available, where Ms Rakova says they’re hoping to relocate 25 more families. But the access to safe and secure land is only half the battle. “Building houses for the families to live in is our biggest hurdle at the moment,” she says. 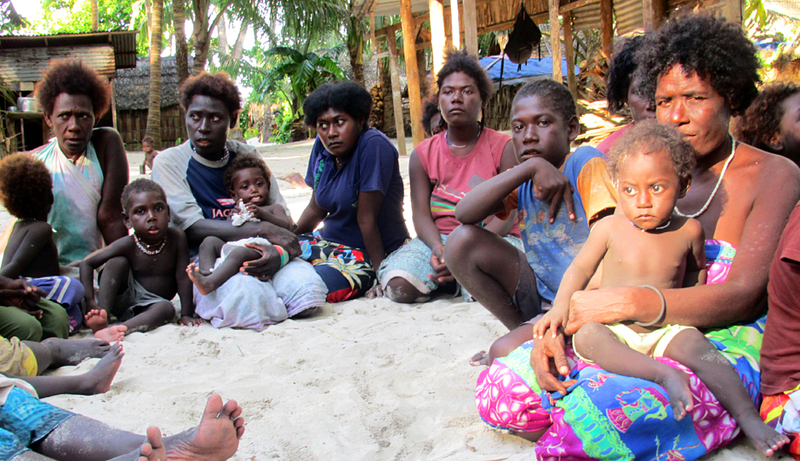 Once they are resettled on Bougainville, the Carteret families are allotted one hectare each. In addition to growing their own food, the relocated families also send food and planting materials back home to help supplement what the islanders are able to grow. Tulele Peisa has also provided thousands of mangrove seedlings to prevent the erosion of the coastline, and helped to build raised garden beds. But this will only stave off the inevitable for so long. “Those are adaptation strategies, they aren’t really long-term solutions to containing the islands, because we know the islands are going, but we are looking at supporting our families,” Ms Rakova says. She says the islanders want to maintain their independent way of living but that the international community should provide more support. “The islanders on the Carterets are victims of what other people have caused and the international community needs to aid and support the work that we are doing,” she says.